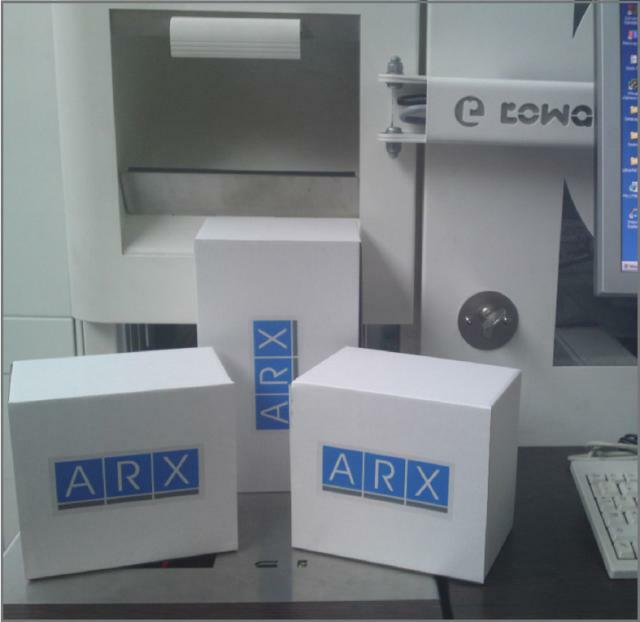 It’s not often that I take note of pharmacy technology designed for the outpatient setting, but I had to make an exception when I came across the StoreRx robotic prescription storage system by ARX. What little outpatient pharmacy I remember, keeping track of patient prescriptions once filled was always a headache. I’ve seen several systems designed to make use of hanging bags like the WillCallRx system by TGCRx (PDF), but I never like the bag system; not sure why. However the StoreRx robot uses a different system altogether. Unfortunately for you and me, I couldn’t find a video of the StoreRx system in action anywhere on the internet. That’s a real bummer as I’d like to see it doing its thing. StoreRX is the most space efficient way of storing your customer’s prescriptions inside a robot. It enables accurate tracking of completed prescriptions, which is ideal for prescriptions with several bags and also for monitoring those which have not been collected. The white and brown medium grade e-flute cardboard boxes come in 2 different sizes, large and small. Both are easily recognised and efficiently stored by the robot. The StoreRX boxes are fully recyclable and bio degradable, but of course, these robust boxes can be re-used again and again. Prescriptions can be stored and located using the patient name, as opposed to looking up the required packs, making the prescriptions easier to locate during busier periods. Other outpatient pharmacy will-call systems can be found here.